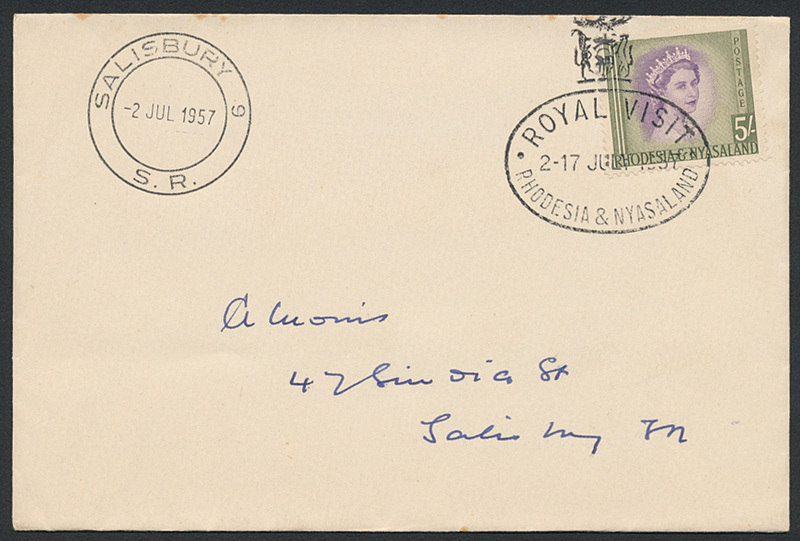 1957 (2nd July), envelope bearing QEII 5/- violet and olive-green (SG 13), tied by special crowned oval 'ROYAL VISIT / 2-17 JUL 1957' datestamp. Further alongside 'SALISBURY. 9 / S. R.' strike for the start of the visit.